When DJI revealed the Mavic Pro in late 2016, it ended up being a turning point for the company. DJI was already the dominant name in consumer drones thanks to the Phantom series, but the Mavic Pro was cheaper, smaller and downright meaner-looking. The combination of price, features and cool-factor made it an instant success. Then there was the Spark, which was smaller, but less powerful and lacked some of the basic features that a budding aerial photographer wants. Enter the Mavic Air, a quadcopter that slots between the Mavic Pro and Spark on DJI's roster. DJI's Mavic Air is a testament to the company's innovation. 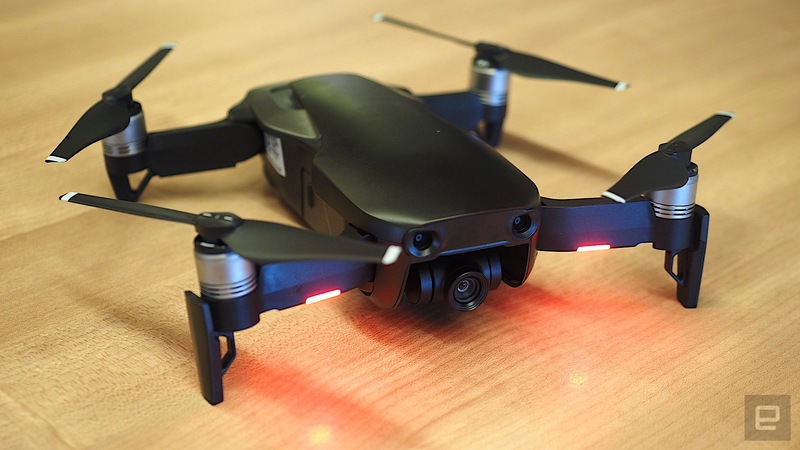 With pretty much no other big player in the game, it could have eased off the gas on features, but the Mavic Air comes packed with sensors, a high quality camera, onboard storage and flies like a dream. The hardest decision, might well be what color to get it in. How would you rate the Mavic Air? When I first saw the size of the Mavic Air, I assumed it would have fewer features than the Mavic Pro. And in some ways, that's true. The Air is rated for 21 minutes of battery life, while the standard Pro tops out at 27. Also, that smaller size means it's probably more prone to being blown around by Mother Nature. 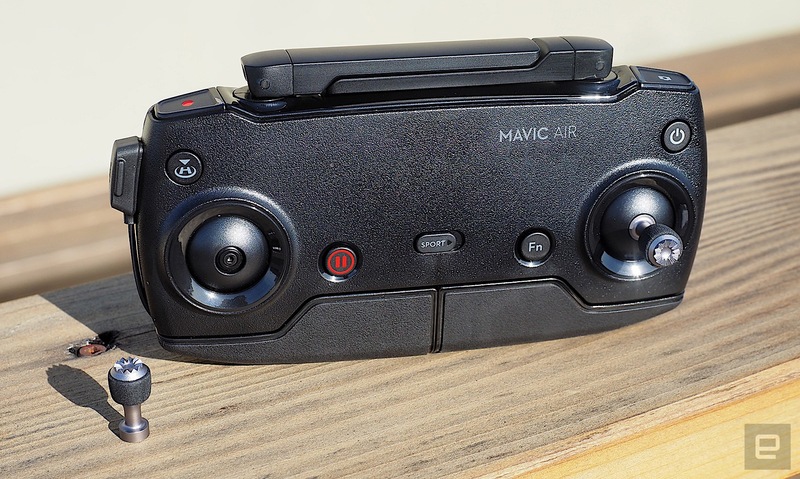 But for the most part, some important parts, the Mavic Air matches or bests the Mavic Pro -- and that's a good thing (unless you just bought a Mavic Pro, I guess). Unpacking the Mavic Air reinforces how small it is. The packaging for the Phantom 4, for example, is about the size of typical carry-on luggage. The Mavic Air's box looks more like something premium headphones come in. DJI suggested the folded Mavic Air is about the size of a large phone (if you ignore its height). This isn't a helpful comparison, although some dimensions do sorta match that of my Pixel 2 XL. The 2-inch height means the Mavic Air is actually about the size of a bag of coffee (but that's still pretty darn small). Beyond its size, the next thing I noticed is how cool it looks. The Mavic line ushered in a much-needed facelift for DJI drones. The Phantom series always looked a little... "smurfy," but the Mavic Pro looks modern and aggressive. The Mavic Air has softer lines like a sports car, and the two-tone color scheme gives it a contemporary aesthetic that shows DJI's design chops are coming of age. I've flown plenty of DJI drones, so I was confident enough to get the Mavic Air flying right away. One thing that hasn't really changed is the first-time setup. Once your batteries and controller are charged, you need to download/install/sign up for DJI's Go app. Then you need to squeeze your phone into the grip at the bottom of the controller (after installing the appropriate USB adapter) and go through a quick walk-through of the app. Once you're set, just unfold the Mavic Air's arms and you're good to go. I launched the Mavic Air in our cavernous (and mostly empty) office; I was instantly bombarded with beeps coming from the controller. Thanks to the Mavic Air's multiple sensors, it detects objects in front of, behind and beneath it. Engadget's office has several timber pillars, and the sensors immediately detected them (even though it was already keeping a safe distance from them). Straight away I was reminded how tight DJI's drones fly. Take your hands off the sticks, and the Mavic Air just stays where it is, without any drifting. Point it somewhere, apply the throttle and it effortlessly glides in that direction. While DJI's drones have enough sensors to make flying indoors safer, it's the great outdoors where they shine. I took the Mavic Air up to a drone-friendly park on the East Bay overlooking San Francisco to put it through its paces in its natural environment. When I used to fly a Phantom, there was always an amount of self-consciousness. This (relatively) big white thing that alerted the world to its existence with a shrill warning noise, and then sounded like a chainsaw when you started it up. There's none of this with the Mavic Air. Just unfold, set it down and get it up. It's much quieter in the air than DJI's bigger drones and doesn't draw too much attention to itself (though people did stop and admire it as they passed). The range on the Mavic Air is advertised as 4km (about 2.4 miles) which is double that of the Spark, with the Mavic Pro coming in at 7km (about 4.3 miles). A few times I flew the Mavic Air as far away as I safely could (well within range) and experienced some glitches with the video feed. Only at first, though; it always seemed to clear up after that. There was also one occasion where the drone lost contact with the controller and started to fly home, but it soon connected again, putting me back in control. And even that happened only once. Good flight performance is table stakes for DJI drones, but that's all for naught if the camera doesn't work well. I shot in several different settings (cloudy, well-lit, indoors) and I have to say that the camera impresses. Videos look sharp across various resolutions (I mostly used 4K and FHD). Photos look equally good, with great dynamic range and bright popping colors (the right side of saturated). For me, it's the camera that's possibly most important. After all, DJI has the drone part down to a T at this point. The Spark's HD camera is good, but it's hampered by more basic stabilization technology and a smaller selection of resolution settings. But for the Mavic Air and Pro, it's almost neck and neck as far as features go. The Mavic Air has HDR, higher bitrates (100Mbps versus 60Mpbs) and more slo-mo options. But the Mavic Pro has a cinematic mode and, in my opinion, better color representation. DJI really does like to make decisions hard for us. From what I've seen from both drones in the same environments, the Mavic Air might have more features, but the image quality on the Mavic Pro is slightly better. Regardless, the video and photos you get out of the Mavic Air are generally fantastic, and the smoothness of the gimbal is perfect, which is kinda crazy considering its small size. I've talked a lot about DJI's other drones, and there's a good reason for that. Normally we expect the more expensive model to be the better one. No one told DJI, it seems. The problem (benefit?) seems to be that DJI develops tech and software at a fast clip. It sometimes releases a souped-up version of an existing drone, but there's obviously a point where it makes sense to make a new model. With rear-obstacle avoidance, 8GB of built-in storage and a more clever camera, the Mavic Air is that model. All the new sensors make for better 3D vision in the drone, and that requires more processing grunt -- something even the older Mavic might not be capable of. The result is a smaller, cheaper drone that might best its higher-end stablemate on the features that matter to you. Unusually, then, potential buyers of both the Spark and the Mavic Pro might be tempted by the Mavic Air. At around $400, the Spark is about half the price of the Mavic Air. But (and I think it's a fair-sized but) the camera upgrade is significant -- you get 33 percent longer flight times, more auto-shot modes and more safety sensors. Plus the Mavic Air folds down, which arguably makes it more portable, too. That all adds up to a solid upgrade that might make the price hike more palatable. If I were eyeing up a $999 Mavic Pro, on the other hand, the decision for me would be easier. 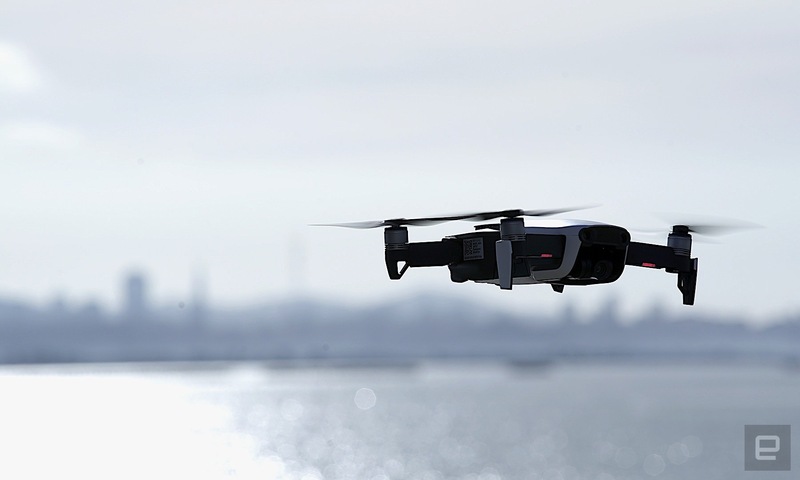 The $200 saving comes with very few compromises for casual users who want a reliable, capable flying camera with superior obstacle avoidance and the convenience of built-in storage. There will be people for whom the superior image/filming modes will really matter. Or want something more robust. But I'll come out and say it: For a lot of you, Mavic Air is everything you need. James began writing for music magazines in the UK during the '90s. After a few failed attempts at a DJ career, he carved out a living reviewing DJ and music production gear. 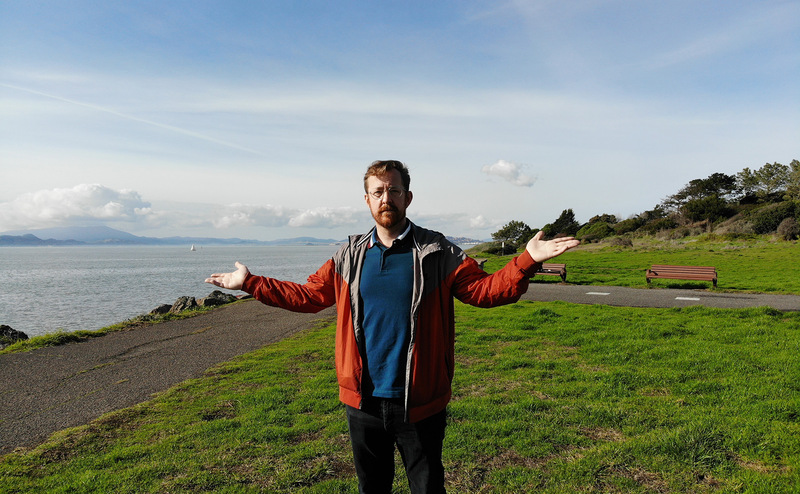 Now he lives in the Bay Area, covering drones, fitness tech and culture, though he keeps his DJ gear plugged in and on show. You never know.